Dimming is an important aspect of many applications. From creating the right mood and ambience to saving energy, dimming is an integral part of lighting fixtures. Most dimmers in the market use phase cutting dimmers, also known as Triac based dimmers, which cut the phase of an incoming power waveform to create dimming. GRE Alpha’s XLA series incorporates pioneering deep dimming technology to allow full range dimming of LED lighting fixtures, for a wide variety of current ranges. Most traditional dimmers in the market are designed to work with incandescent light bulbs, and require high loading. When used with a modern energy saving lighting fixture, such as an LED lighting fixture with much lighter load, the dimming performance of the lighting fixture may be affected. For instance, flickering at low dimming levels, slow start-up times or reduced dimming range can be observed. 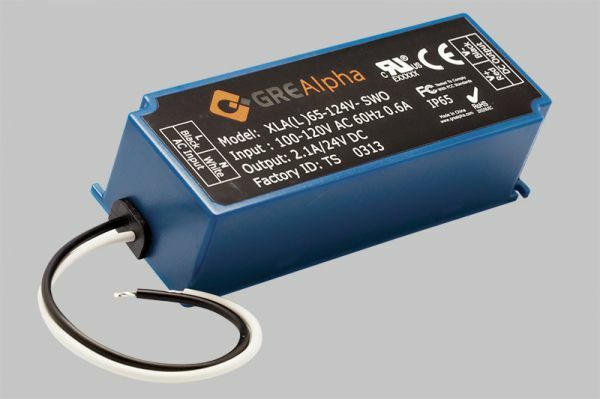 GRE Alpha’s XLA Series provides full range, 0-100% flicker free dimming compatibility with TRIAC/ELV/SCR phase dimmers, and will work with most traditional dimmers in the market. The XLA Series comes with proprietary synchronized dimming technology, which enables synchronized brightness when connecting multiple dimmable drivers to a single TRIAC/ELV dimmer. With our pioneering partnership program with leading COB manufacturers in the market, sourcing the right dimmable power solution can be done easily online, through our flexible online product matching portal.